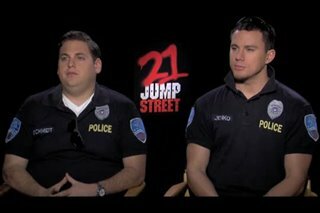 When Schmidt (Jonah Hill) and Jenko(Channing Tatum) were in high school, Jenko was the popular guy who made fun of nerds like Schmidt. 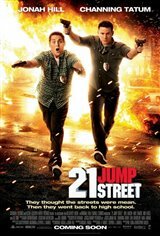 As the two go through the police academy, they embrace their differences and become friends. 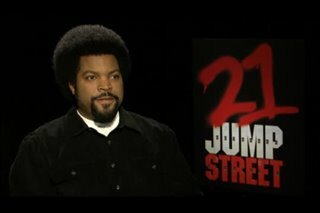 After failing an assignment as bicycle cops, they're sent undercover as teenagers to investigate a drug ring in a local high school. However, high school has changed and the two find themselves having very different experiences. Schmidt is thrilled to finally be considered popular. Jenko worries that his partner has gotten too close to the kids they're investigatingthat he's forgotten the reason they're at the high school in the first place. "How is this a big screen version of the television show? These aren't even the same characters!!!" "hilarious, my sides hurt from laughing!" "hilarious movie - highly recommend !"